← Consumer Code for Homebuilders – Causing the Confusion! 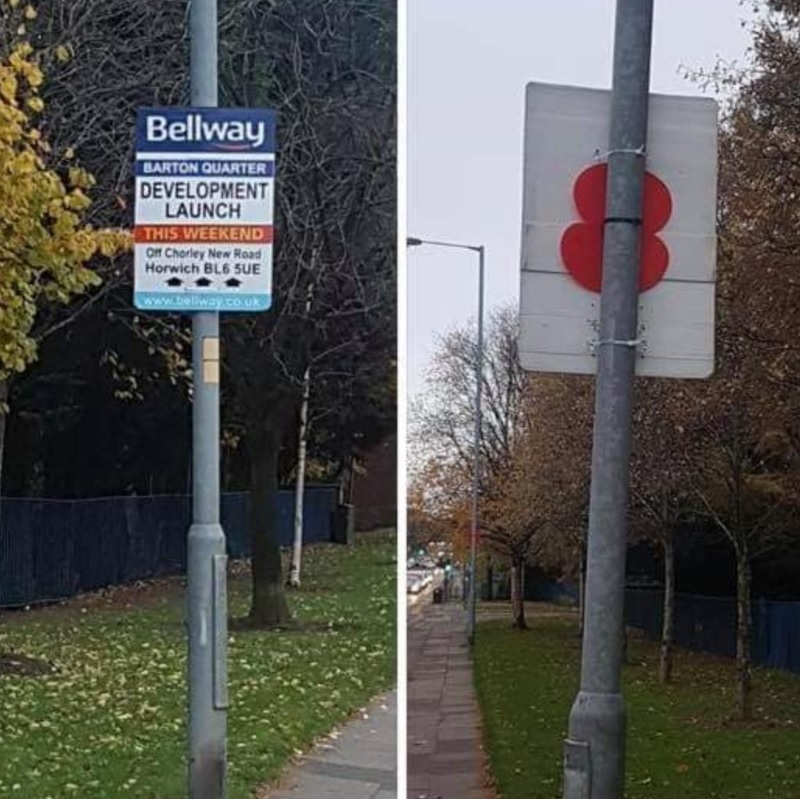 Bellway Homes signs advertising the launch of their new development in Horwich were fitted to lampposts in front of poppies ahead of Remembrance Sunday. Unbelievably, plc housebuilder Bellway Homes sullied the memory of the fallen and showed complete disrespect by putting up, in all probability, illegal advertising signage over Remembrance poppies. The poppies having been tied to a number of lampposts on Chorley New Road, Horwich near Bolton, to mark the centenary of the end of the First World War. 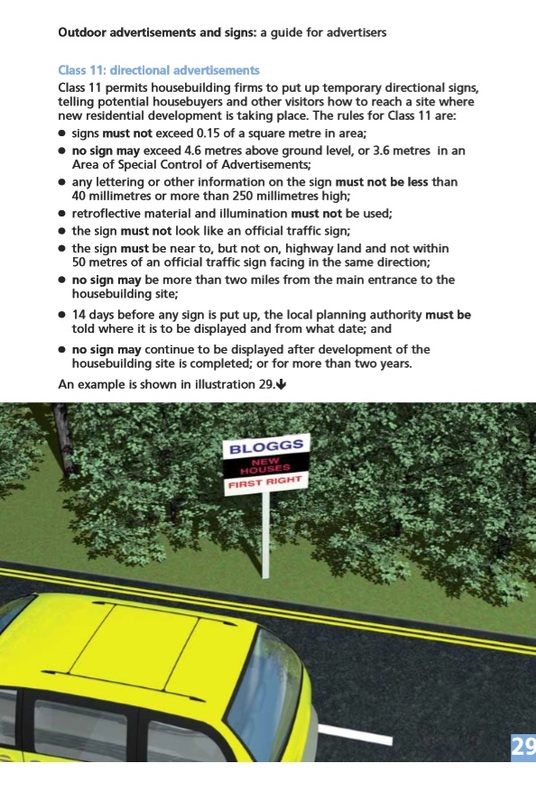 Did Bellway Homes obtain planning permission or permission from the local Highway Authority or Electricity North West as these signs were placed on highway land? A mistake? Apparently Bellway CEO is incapable of recognising what was a deliberate, intentional, idiotic action, certainly not a mistake. The only mistake being Bellway Homes appointing these contractors to fit advertising signs to the publicly-owned street furniture in the first place! “We could never have imagined that our signage contractor would cover the poppies with the marketing boards. This was a disrespectful mistake and one that we corrected as soon as possible. So amazingly Bellway Homes are still intending to use this contractor! So what sanctions if any, have Bellway imposed. Most people would have torn up any contract and not paid the contractor after the damage this has done to Bellway Homes and further sullied the image of the whole industry. This has to be a new low for the housebuilding industry which would appear to stop at nothing if there is an inclining of saving money and greater profit involved. There are strict rules and clear guidelines as to what temporary signage is permitted and under which circumstances. and for flags (sites of 11-100 houses may have only 2 flags and flag poles should be less than 4.6 metres high -see page 26). This entry was posted in New Homes and tagged Bellway Homes, Remembrance Day Poppies. Bookmark the permalink. 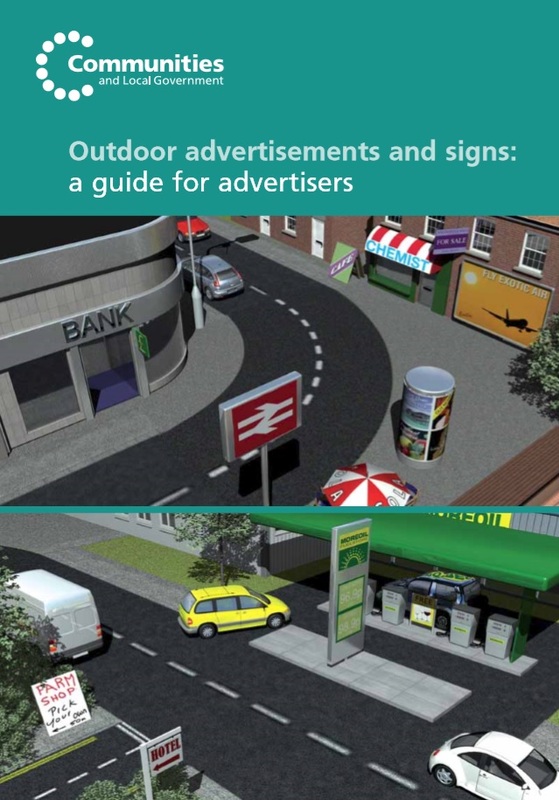 1)	If this advertisement signage had planning approval or if any permission had been granted? 2)	If any further action (enforcement action or fines etc) was to be taken against Bellway Homes? “I can confirm temporary signage does not require planning permission. “I am a Horwich Town Councillor not a Bolton Borough Councillor. As Bolton are the planning authority I suggest you direct your enquiries to them. “It’s not up to me to interpret planning rules, the planning authority do that. As for the post, if you read it it should be obvious I posted to let people know the developer had been contacted and made aware so they could arrange removal. Obviously this appears to be far too much of an effort for Ms Brady!